I recently wrote about the sweeping workplace rules designed to prevent sexual harassment here. As of this month, employers are required to adopt a sexual harassment prevention policy and provide annual sexual harassment prevention training. Both the policy and the training are required to meet or exceed minimum standards set by a model policy and model training program provided by the Department of Labor and Division of Human Rights. At the time I wrote about these requirements, only drafts of the model policy and training were available. The final model policy and training module are now available here. If you would like to schedule a consultation to talk about how this legislation may impact your business, please feel free to contact me at pweishaar@mccmlaw.com or 585.512.3542. Guidance for Public-Sector Employers and Employees in New York. Earlier this year, the Supreme Court issued a decision in Janus v. AFSCME Council 31, 138 S. Ct. 2448 (2018). In Janus, the Court held that unions did not have a right to receive fair share agency fees from public-sector employees who decline union membership. The New York State Department of Labor recently issued two short publications providing guidance to New York Public-Sector Employers and Employees: Guidance for Public-Sector Employers and Employees in New York State; and Guidance for Public-Sector Employers and Employees in New York State–Frequently Asked Questions. Sexual Harassment Prevention. The 2018-2019 New York State Budget contained several provisions affecting sexual harassment prevention policies, training and settlements. The Legislation also required the creation of a state-mandated model policy and model training. You can read more about these requirements in an article I wrote on our firm’s website here. The model policies were recently published in draft form, along with a model complaint form, and all of these draft documents are available here. Volunteer Firefighter Enhanced Cancer Disability Benefits Program. Over the summer, the State published proposed regulations implementing this new program. The proposed regulations are available here. UPDATE: Budget Question. Last night, there was a question about amendments to the budget after the budget hearing. Town Law section 181(b) provides in part that “After the public hearing, the board of fire commissioners may adopt changes, alterations and revisions to the proposed budget subject to the requirements of paragraph (a) of subdivision two of this section, except that the board of fire commissioners shall not add or increase an appropriation to a capital reserve fund.” (emphasis added). Thank you for visiting my blog. If you want to find out more about me and my practice, I invite you to visit my page on our firm’s website. I am often asked about the requirements for disposing of surplus apparatus or other property. Generally, unless apparatus was being traded in as part payment for new apparatus, fire district commissioners had to pass a resolution subject a mandatory referendum before disposing of surplus property. However, there are two exceptions to the mandatory referendum requirement: (1) If the property was valued at less than $50,000, then the board of fire commissioners only needed to pass a resolution subject to a permissive referendum; and (2) If the property was valued at less than $10,000, then the commissioners need only a resolution to dispose of the surplus property. Effective immediately, those thresholds have been boosted to $100,000 and $20,000, respectively. For more information about this recent amendment, please see my article on our law firm’s website: New Law Removes Red Tape for Fire Districts Selling Surplus Apparatus. Can a Fire District Pre-Pay for a New Fire Truck? This is a question that has come up quite a bit recently, and I’ve decided to explain the reasoning behind my answer here. Fire apparatus can be very expensive, ranging from several hundred thousand dollars to as much as a million dollars or more for the most sophisticated aerial ladder trucks. With the tax cap as low as it is, it is easy to see why it may be tempting to take advantage of the savings offered by a vendor who offers a pre-payment option. Sometimes the savings can be as much as 10% of the cost of the apparatus. Should you take advantage of this? It is well settled that “[f]ire districts are established for the purpose of providing fire protection and responding to certain other types of emergencies . . . and have only those powers expressly granted by statute and necessarily implied therefrom.” 1992 Opn. St. Comp. No. 92-41. Is there a statute that expressly permits a fire district to make pre-payments? The board of fire commissioners may, further, by resolution authorize the payment in advance of audit of claims for light, telephone, postage, freight and express charges. All such claims shall be presented at the next regular meeting for audit, and the claimant and the officer incurring or approving the same shall be jointly and severally liable for any amount disallowed by the board of fire commissioners. [N.Y. Town Law section 176(4-a)]. 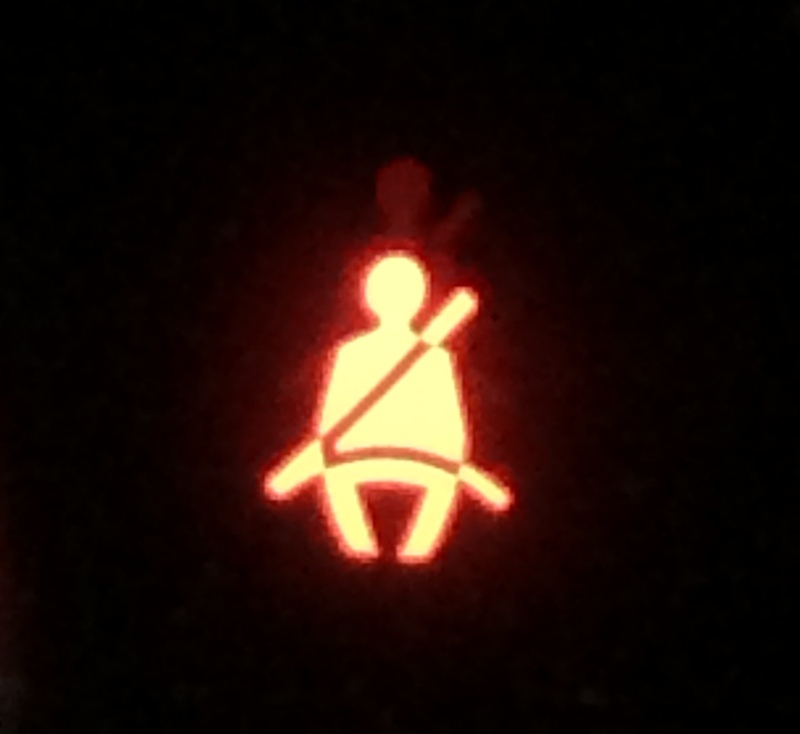 In any case of a purchase from a manufacturer of a motor vehicle used for fighting fires, whether or not including apparatus used in connection with such motor vehicle, having a period of probable usefulness of ten years as determined by section 11.00 of the local finance law, advertisement for sealed bids may be made and the purchase contract may be awarded for such motor vehicle and apparatus with the provision, if the board of fire commissioners shall so specify, that progress payments be made to the manufacturer as the motor vehicle or apparatus or both progresses, provided that evidence satisfactory to the board of fire commissioners as to the progress of such work be produced with each request by the manufacturer for a progress payment, and further provided that such progress payments shall not exceed four in number and that at least twenty-five per cent of the contract price of the motor vehicle or apparatus or both be withheld by the board of fire commissioners until such motor vehicle or apparatus or both are delivered to and accepted by the board of fire commissioners, and further provided that every such contract providing for progress payments shall be accompanied by a surety bond of a property/casualty insurance company, as defined in section one hundred seven of the insurance law, for the completion of the work, specified in the contract, within the amount stipulated therein, which bond shall be filed with the board of fire commissioners. The contract providing for progress payments shall be accompanied by a surety bond. These requirements do not permit advance payments or any other type of pre-payment. However, if the foregoing criteria are met, progress payments are permitted. While the savings offered by vendors will not be as great as the pre-payment option, many vendors also offer progress payment options, and these options should be considered. At the very least, the bid specifications should include a request that the vendors include options for progress payments (and the specifications should also explain how the lowest responsible bidder will be determined if such options are requested). Although it would seem to be in the best interest of the taxpayers to obtain the discount offered by the pre-payment option, taking advantage of this option would run counter to the public policy of the State of New York. This is similar to the rules that prohibit fire districts and other municipalities from investing their funds in something other than insured certificates of deposit or United States obligations. In a recent fire district audit involving the failure of a fire district to invest funds properly, the Comptroller explained that “[t]he law emphasizes safety, security and liquidity over yield, because improper investments could result in a risk of market fluctuation and the loss of principal.” [Orient Fire District Audit at 6 (March 2016)]. Thank you for visiting my blog. I hope you consider subscribing by email, liking my page on Facebook, or following me on Twitter. You may also want to subscribe to our firm’s email newsletter, In Confidence, here. You can subscribe to only the topics you are interested in, and from time to time, I write about developments impacting New York municipalities, including fire districts. Many fire districts have established Length of Service Award Programs (“LOSAPs”) in an effort to recruit and retain volunteer firefighters. The service awards provided under these LOSAPs relate to credits earned annually by performing various volunteer firefighting functions for a period of years, and are generally paid on a monthly basis upon the participating volunteer reaching a certain age. Previously, public employees who serve as volunteer firefighters were unfairly penalized, in that they were not permitted to earn any credit for responding to calls during the individual’s regularly assigned work periods. Effective immediately, this penalty no longer applies. Section 217(f) of the [General Municipal Law] precludes a volunteer firefighter who provides firefighter services (generally, emergency services) during his or her “regularly assigned work periods” from receiving LOSAP credit for those services. So, in spite of the increasingly desperate need to attract folks willing to undergo hundreds of hours of required training and stay active for many, many years to earn any marginally-significant LOSAP benefits, public employees are “dis-incented” from providing volunteer firefighter services for circumstances over which they have no control and which may already cause them significant employment-related penalties. Thankfully, on December 11, 2015, the Governor signed legislation to repeal this penalty, effective immediately. On Saturday, September 26, 2015, I was honored to be invited to participate as one of the panelists at the 2015 Western New York Fire District Officers Legislative Association Workshop. I understand that the event was a “sell-out” with fire district officials from over 11 counties in attendance. There were many topics covered, and I wanted to follow-up with a short post including some additional information and links to relevant information from some of the topics that were covered. Fundraising. During one of the breaks, I was asked about firefighters participating in fundraising activities in support of other (non-fire) organizations. A word of caution about this. Although the statute governing fundraising, General Municipal Law section 204-a, generally provides that firefighters participating in fundraising activities are covered by the Volunteer Firefighters’ Benefit Law (“VFBL”), not all kinds of fundraising activities are included in this coverage. Section 204-a defines “fund raising activity” as “a method of raising funds to effectuate the lawful purposes of a fire company.” Thus, if the funds are not being raised for “the lawful purposes of a fire company” it is not likely that there would be coverage under the VFBL if a firefighter is injured while participating in such activity. One of the fundraising activities briefly discussed involved raffles. The New York State Gaming Commission website has a section dedicated to Charitable Gaming–including Raffles. You can find it here. It is critical that both the requirements of the General Municipal Law and the applicable gaming rules are followed. Firefighters Under 18. There are opinions from the Attorney General’s Office indicating that firefighters may be as young as 16 years old. But, before deciding whether or not to permit firefighters that young, the fire district should consult with counsel about the unique rules applicable to such firefighters, and also to review the risks associated with having firefighters that young on active duty. Fire districts are also authorized by section 204-b of the General Municipal Law to establish youth programs, provided the program complies with the requirements of the statute. Participants in such a youth program are not active firefighters. Unlike active firefighters, youth participants are not eligible for VFBL coverage, and they may not participate in any emergency operation or any hazardous activity. Blue Lights. The SafeNY website contains a good FAQ page [here] with a good summary of the requirements applicable to the different types of sirens and flashing lights–including the blue lights used by volunteer firefighters. The website also contains links to the relevant statutes, including Section 375(41)(4), which governs the use and operation of the blue lights. Bonding Credit Card Users. Recent audits by the New York Comptroller have included a recommendation that fire districts and other municipalities bond individuals who are issued credit cards. Here is a copy of a recent audit with this recommendation. Document Retention Policies. I have been asked by my fire district clients how long it should retain certain documents. 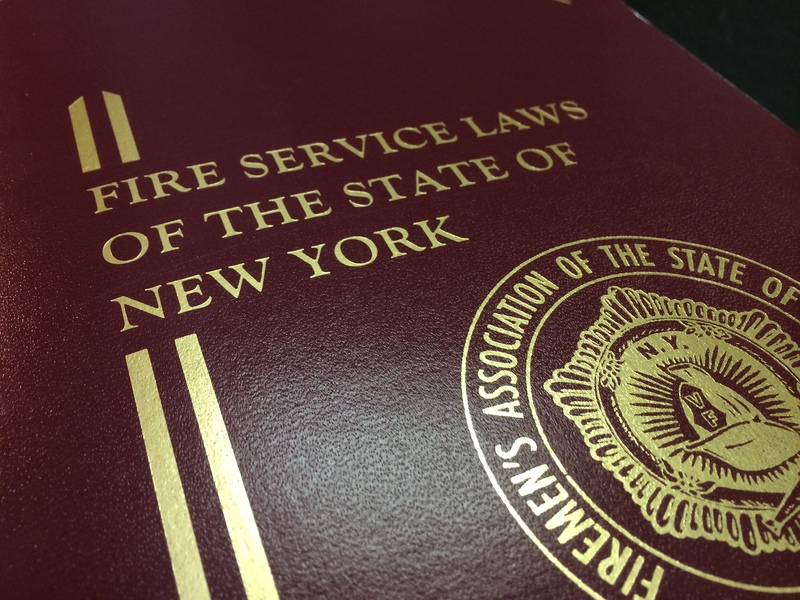 Fortunately, the New York State Archives published a document retention and disposition schedule applicable to fire districts and other political subdivisions in New York. The schedule–known as MU-1–may be found here. I am once again looking forward to speaking at the Western New York Fire District Officers Legislative Association Workshop in Batavia, New York, on September 27, 2014. As I did last year, I wanted to write a short post as a resource for those attend. Unfortunately, several of the documents I intended to reference (with links) are publications of the New York State Comptroller’s Office, and that website seems to be unavailable at the moment. Although there will be a lot of important topics covered by the panelists, I will focus my remarks on two areas: (1) recent amendments to the procurement statutes; and (2) a general discussion of the Nonprofit Revitalization Act of 2013, and its applicability to volunteer fire companies. Last year, I spent quite a bit of time discussing the expanded “piggybacking” exception to competitive bidding in New York. Shortly after last year’s conference, the statute was amended again to further expand this exception to include contracts awarded on the basis of “best value” in a manner consistent with New York’s bidding statutes. Following this amendment, the Comptroller issued an amended bulletin in November 2013, expanding on its earlier discussion. There is a link to the bulletin in my post from last year, and it should bring you to the updated bulletin. Shortly before the Nonprofit Revitalization Act of 2013 became effective on July 1, 2014, one of my colleagues wrote an excellent summary of the key provisions of the Act. A copy of the article, Nonprofit Best Practices Now Mandatory, may be downloaded by following the link. If you would like to have one of our attorneys review your company’s bylaws and make recommended changes to ensure compliance with the Act, please feel free to contact me. A little over two years ago, I wrote about an amendment to New York’s Open Meetings Law requiring prior disclosure of documents scheduled to be discussed at a meeting of a public body. As of February 2, 2012, the Open Meetings Law requires public bodies to make certain documents–including agendas as well as any other document scheduled to be discussed at a public meeting–available before or during the meeting when they will be discussed. Documents, such as proposed resolutions, laws, rules, regulations, policies or any amendments thereto that are scheduled to be discussed during an open session of a public meeting, should be made available upon request “to the extent practicable as determined by the agency or department” prior to or at the meeting during which the records will be discussed. For more information about the requirements imposed by this amendment, please see my earlier article here. I’ve had this issue come up several times in the last month or so, and wanted to be sure that my municipal clients are aware of this relatively new requirement. Failure to comply with this or any other requirement of the Open Meetings Law could result in a court voiding any action taken, and the public body may be required to pay attorney’s fees and attend a training session on the requirements of the Open Meetings Law sponsored by the Committee on Open Government.